Russia’s Defense Ministry spokesman Igor Konashenkov. The data, which allegedly shows that the rocket that targeted the airliner as it passed over eastern Ukraine could not have been launched from the area around the village of Snezhnoye, was made public at a briefing. 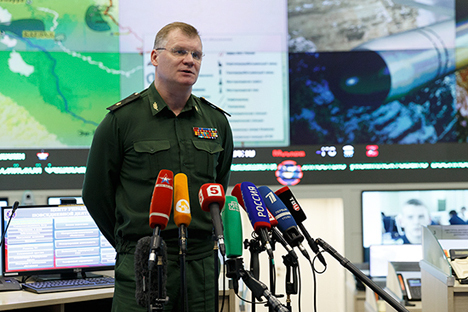 "All the information will be handed over to the Netherlands in due course," said Konashenkov. Flight MH17, which was en route from Amsterdam to Kuala Lumpur, was brought down over eastern Ukraine on July 17, 2014, killing 283 passengers and 15 crew members on board.